The 2014 Oscars had it all. Hollywood’s stars and starlets strutted their stuff in spectacular (mostly beige) fashion. 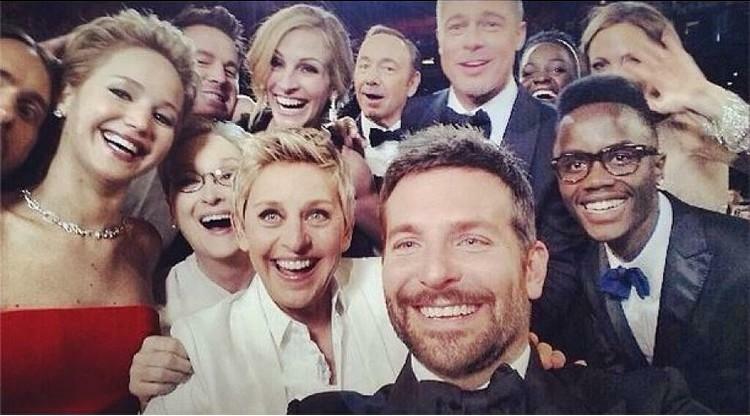 Talk show queen, Ellen DeGeneres, played host to the US film industry’s ‘night of nights’ for the second time, engendering a quirky casual affair that saw a startled pizza delivery driver hauled on stage and a Bradley-Cooper-assisted-group-selfie make Twitter history. Like those before it, the 86th Academy Awards had elements of both apparent certainty and unpredictability. Much hyped dramatic space thriller, Gravity, won seven Oscars, including Best Director (Alfonso Cuaron), to go with its plaudits from lunar legend Buzz Aldrin (Aldrin reviewed the film on behalf of The Hollywood Reporter, stating “I was so extravagantly impressed by the portrayal of the reality of zero gravity”). Now, the strong performance of Dallas Buyers Club (three awards), a dramatic retelling of how Texan redneck Ron Woodroof helped fellow AIDS sufferers access HIV medication, probably surprised no one. But, what it did signal, was the transition of Matthew McConaughey (Best Actor in a Leading Role) from forgettable romcom star to serious dramatic performer. Similarly, previously unheralded Mexican-Kenyan actress, Lupita Nyong’o, got the gong for Best Supporting Actress in another broadly rated film based on true events, 12 Years a Slave (three Oscars). The upset underperformer of 2014, heralded by many critics in the lead-up to Oscar nominations, was American Hustle. The film – boasting an all-star cast that included Christian Bale, Amy Adams, Bradley Cooper, Jennifer Lawrence and Jeremy Renner – was up for a staggering 10 awards at the Dolby Theatre in Hollywood, Los Angeles. It won none. The dismal result places American Hustle in unenviably exclusive company, with Gangs of New York (2002) and True Grit (2010) the two other films to receive 10 nods without claiming a single statuette. The only two films to have received a colder shoulder at the Oscars are 1977’s The Turning Point and 1985’s The Color Purple – both of which scored 11 nominations without claiming a single Academy Award. Speaking of disappointments, the curse of Leo loomed large over Martin Scorsese’s The Wolf of Wall Street, with all five of its nominations snubbed on the night. Not only does this mean that movie buffs are still waiting for a DiCaprio win, but The Wolf of Wall Street was the only nominee for Best Picture that failed to add at least one Oscar to the cabinet in 2014. So, as with our previous year’s Oscar related data blogs (Dissecting the Oscars with data visualization and Data visualization presents the road to victory at the Academy Awards), it seems that predicting the fortunes of nominees at the Academy Awards is a scrupulously hard task. But, by analyzing Hollywood releases of the past, are we able to identify any correlations, patterns and factors that may point towards potential Oscars success? Let’s role up our sleeves, delve in, and find out! Today’s data visualization and data analysis is brought to you by: Yellowfin; now making Business Intelligence and enterprise wide Data Discovery even easier. Whilst it’s not completely failsafe, it’s very rare for a Hollywood film to flop if both professional critics and the movie-going public deem it to be of high quality. Note: We have identified a strong correlation between the combined ratings of professional critics and movie watchers on Rotten Tomatoes and Oscar success (you should visit informationisbeautiful.net and review the dataset for yourself). Thus, for the sake of analysis throughout this piece, we have assumed that films with a higher combined rating are more likely to win Academy Awards. The Y-axis represents the average combined ratings of professional critics and audience reviews for every Hollywood film released between 2007 and 2011, with each dot representing an individual movie. The X-axis denotes the film budget in millions. Using a scatter plot chart, we can identify one small trend. It appears that it’s difficult to make a film that’s an absolute abysmal cataclysm if the studio assigns a BIG budget (something over $150 million). With a whopping expense account of $250 million dollars, Disney would have been hoping for Pirates of the Caribbean: On Stranger Tides to receive an average Rotten Tomatoes rating of more than 34%. But, it seems that the financial clout behind its production may have saved it from the embarrassment afforded Adam Sandler’s 2011 stinker, Jack and Jill (4% Rotten Tomatoes rating and a budget of $79 million). In fact, on a side note, we suggest that Sandler boycott the movie business altogether; for his own sake. A cursory look at the underlying data tells you that his production company, Happy Madison, has been responsible for a string of howlers, including Just Go With It (19% Rotten Tomatoes rating, $80 million budget) and Zookeeper (14% rating, $80 million budget). However, this minor trend amidst big budget films doesn’t seem to apply to the other end of the scale. Small budget movies are spread evenly along the ratings axis, suggesting that shallow pockets don’t preclude studios from producing an excellent film. Take 2010’s Winter’s Bone for example (94% Rotten Tomatoes rating, $2 million budget). But what happens if we dig a little deeper, and analyze this data set from a different angle? So, do some definitive trends emerge when assessing Hollywood films by audience and critic ratings compared to budget and genre? Sadly, it’s doubtful that any foolproof formulas for filmmaking success can be synthesized by comparing these factors. However, there are a few interesting takeaways. Adventure and Action films often command some of the biggest budgets although, as indicated from our analysis above, this doesn’t guarantee positive reviews. Whilst movies in the Adventure and Action genres clearly have the ability to be loved or admonished by moviegoers and critics alike, the general public appears more forgiving. In fact, this trend remains true for the data set in its entirety, with professional reviewers on Rotten Tomatoes willing to dispense much lower sores than the movie-going public. Romantic films tend to avoid both ends of the spectrum, neither loathed nor loved, while Horror often suffers both public and critic scorn. Interestingly, Comedies rarely claim unanimous praise from the general public, and are often considered disappointing or mediocre by both audiences and expert reviews. If we switch to a bar and line chart, to compare average audience ratings against average budget by genre, one correlation becomes clear. While average budget and average audience ratings seem generally unrelated, there appears to be a strong association between the average budget of Adventure films and their average audience score. Is this an anomaly – an exception that proves the rule that these two metrics are unrelated? Or should Hollywood take the hint and crank out some high budget Adventure flicks? Considering the almost negligible affect budget size has on the quality of ratings received, perhaps studios such as Pixar, Aardman Animations and DreamWorks Animation should rethink their approach to filmmaking. Whilst it seems that these three production companies found receptive audiences, producing 30% of the total Hollywood films released between 2007 and 2011, they also spent an average of $200, $150 and $150 million per film respectively. Given this clustering, it’s no surprise to find that, when assessing the average budgets of all Hollywood films released from 2007 to 2011 by genre, that animations have the highest mean ($94 million). So, if you’re a budding filmmaker hunting for Oscars glory on a shoestring budget, don’t bother with animated films – they’re expensive! However, if you have the initial capital to invest, the film’s budget isn’t really the issue in terms of pure profitability. It’s the ability to recoup the production costs that matters. So do big budget movies have a hard time covering their costs? Or do high production values simply lead to more sales at the box office? At a glance, it’s difficult to discern a definite and distinct correlation between the success of a film, this time in terms of worldwide gross revenue, and its production budget. Note: Sort the films, from left to right, by budget in descending order for most insightful viewing. However, it is possible to pinpoint two trends upon further analysis. Although, admittedly, there are multiple exceptions to this rule. Firstly, amongst the top 10 biggest films by budget from 2007 to 2011, those with the largest budgets often made a smaller Return on Investment (ROI) compared to those films with relatively lower budgets. Secondly, bigger budget films tend to generate higher worldwide gross revenue, and are subsequently often more profitable. For example, 2007’s Pirates of the Caribbean: At World’s End was the biggest budget Hollywood film released that year ($300 million), also raking in the highest worldwide gross revenue ($961 million). It was also one of the most profitable films of that year (profitability = total difference between budget and worldwide gross revenue). However, Pirates of the Caribbean: At World’s End only secured an ROI of 320% – the lowest ROI of all 2007’s top 10 films by budget. Conversely, the two films with the 9th and 10th largest budgets – The Simpsons Movie and 300 – delivered the best ROI at 703% and 702% respectively. So, while there’s a formula emerging to help filmmakers estimate the likely ROI and profitability of their master – or-not-so-masterful – pieces, we still haven’t unlocked the secret to audience and critical acclaim. So what is a good indicator of potential Oscars success? Well, maybe the acting, directing and off-camera crew chasing Oscars fame simply need to align themselves with the right production company – those with a proven method for producing Oscar-inducing films. With New Line Cinema studios having a perfect conversion rate – with 11 Academy Award nominations and 11 wins, perhaps perennial Oscars bridesmaid, Leo, should give them a call. But, 11 nominations over a 35-year span aren’t many. If it’s a numbers game, should Leo just rub shoulders with the studios that have attracted the most Oscars interest? Paramount has received the most award nominations of any studio (55 nominations, 31 wins), albeit with a much humbler win-to-nomination ratio (56%). So what’s Leo’s next move? While it seem fair to say that there’s no such thing as a sure thing at the Academy Awards, the Yellowfin crew think that Leo’s best shot at procuring an Oscar is to secure a leading role in a big budget (over $150 million) Adventure film produced by Paramount studios.